We’ve had a busy and eventful summer, but as it’s winding down, we visited Creative Hands for a peaceful day of painting and then playing in a nearby park. 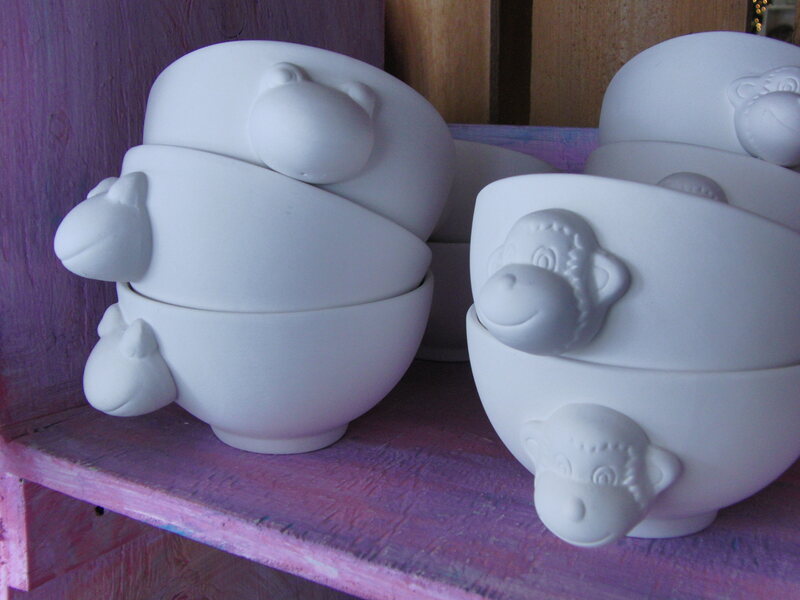 Creative Hands allows you to choose a ceramic or plaster piece to paint, embellish and take home. It’s very affordable, and fun for kids and adults! Of course, I’ve got some Mommy Tips for making the most of your visit. 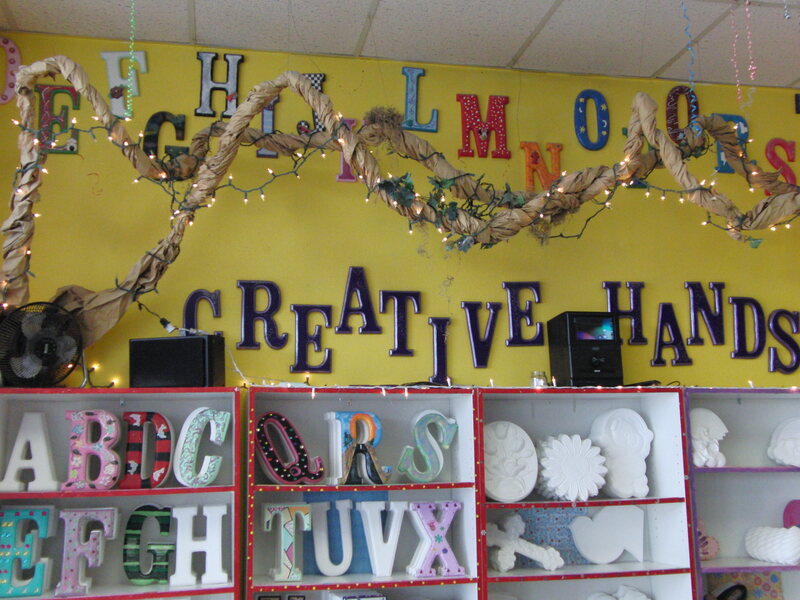 Check the Creative Hands website for hours and days open, but you can always walk in and pick a piece to paint. 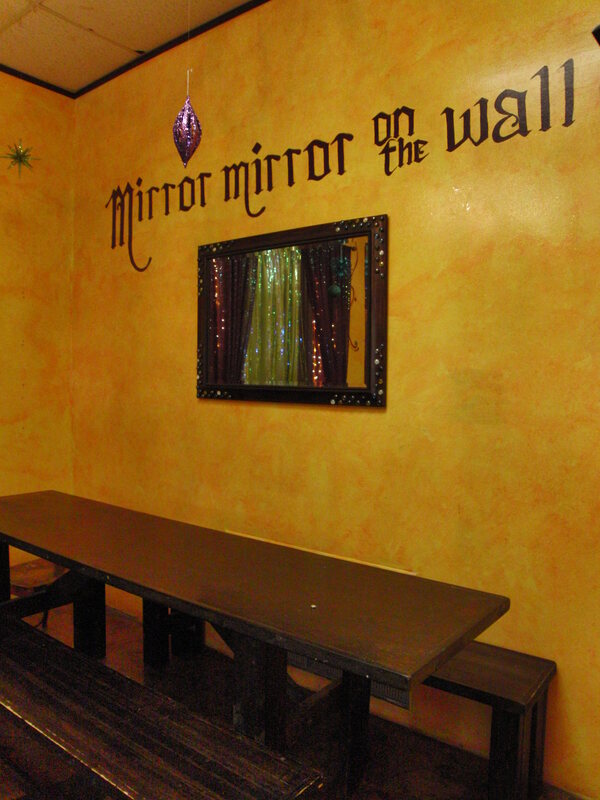 Reservations are only required for parties and large groups. Schedule about an hour to paint, and another hour for your item to be glazed and dry, if you are taking it home the same day. 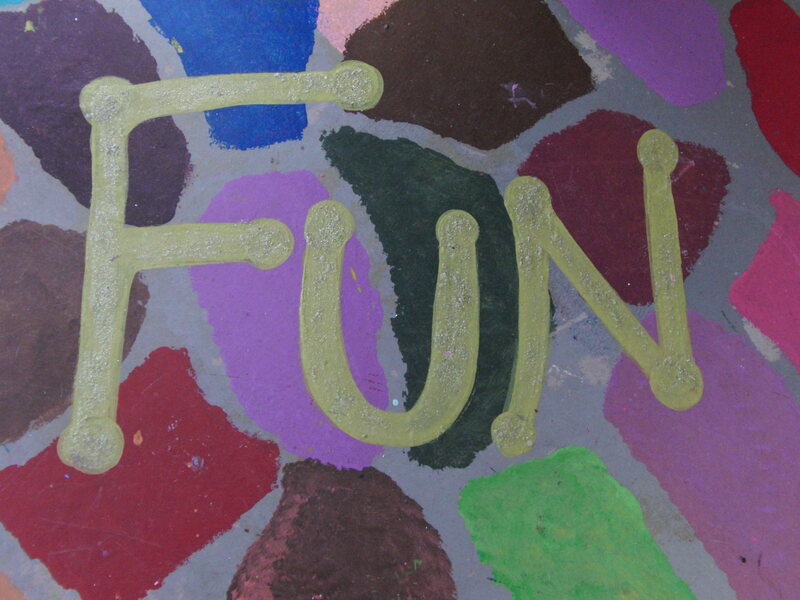 They have plenty of fun plaster pieces to decorate, starting at just $5! Once you have finished painting the plaster pieces, they are given a glazed finish. The plaster pieces can be taken home that day. Plaster of Paris is a natural material, made from the mineral Gypsum. An ancient material, it was first widely used in Paris, where the mineral is abundant. Choose from a great selection of ceramic pieces, includes cups and dinnerware. Once the ceramic piece is painted, it is fired in a kiln, a process that takes several weeks, but leaves them with a glossier appearance. Firing makes your pieces “food safe”. Ceramic pottery is made from clay, with trace minerals. 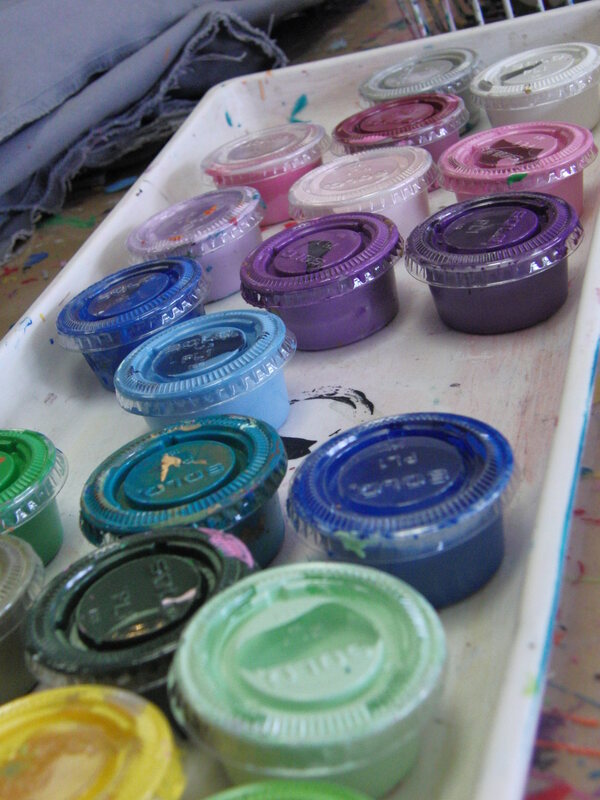 Creative Hands uses acrylic and latex paints, which may not be washable on some fabrics, so wearing short sleeves and even possibly a change of clothes is recommended. They do provide paint smocks, also. Although they offer a good selection of paints to choose from, they will also provide you with a mixing try if you are trying to get just the right shade of a color. If you are trying to match something, you can bring it in with you. My six year old son loved painting, but each time he got just any paint on his hands, he wanted to wash it off immediately, so it wouldn’t smear on his project. 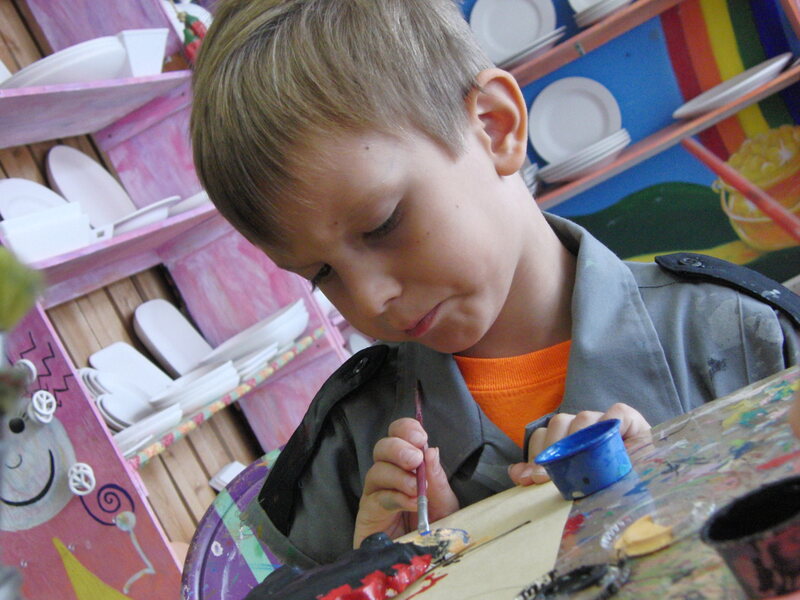 There is a handy sink in the back, but we visited it about 10 or 11 times while he painted his little dinosaur. Take along a pack of baby wipes for quick and easy clean ups at the table. Since there is such a large selection of items, it helps to plan ahead with your kids. Discuss if you are going to do something to pick up that day, or a ceramic piece to get in a couple weeks. A cute idea is to have a family night, and let everyone decorate a dinner plate or bowl for their own use for casual dining. Once fired, the ceramic plates and bowls are safe to use for food. Creative Hands has a wide selection of items for gifts. 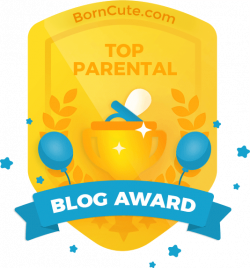 It’s a great way to encourage your child to think of others instead of themselves. 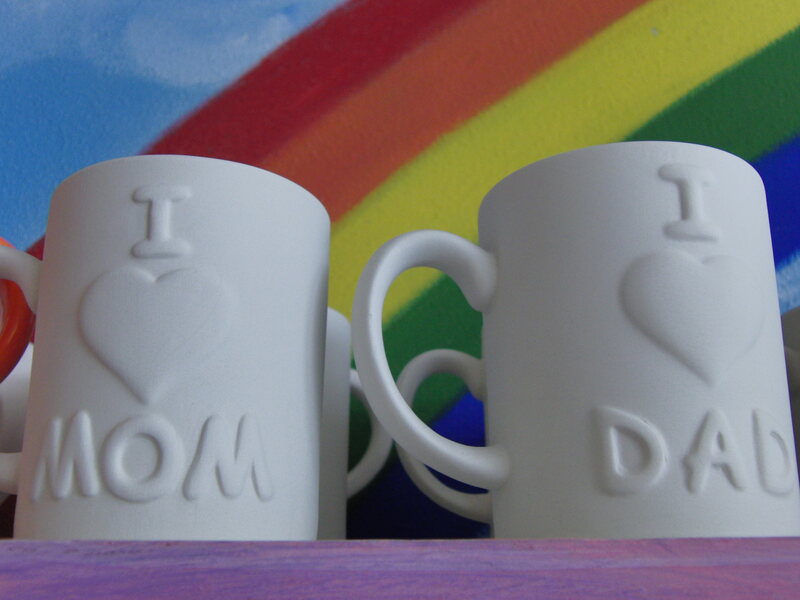 Young friends will appreciate a hand painted gift as much as Grandma will! The piggy banks, large letters and many other pieces would be a treasured gift to a friend, and a reminder of their friendship long after a toy is lost, broken or outgrown. 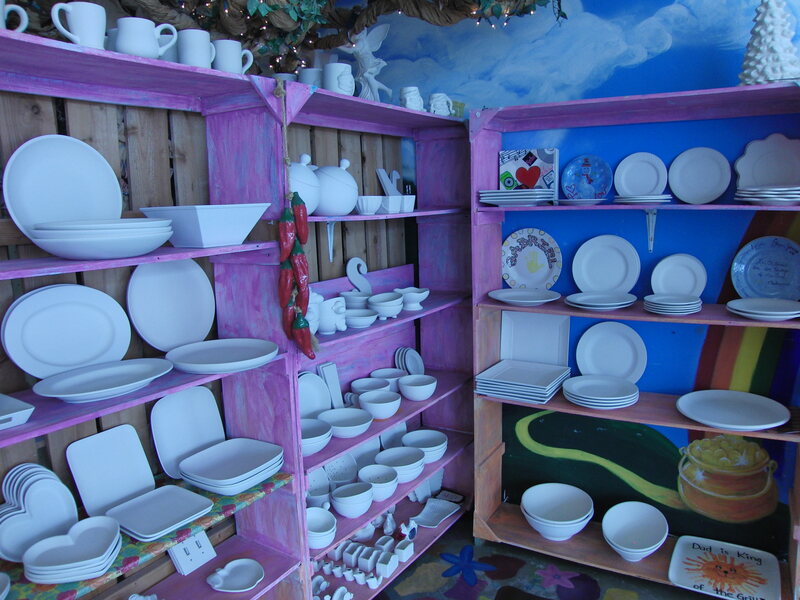 As the seasons change, so does some of the selection of ceramic and plaster pieces to paint. It’s not all for kids! 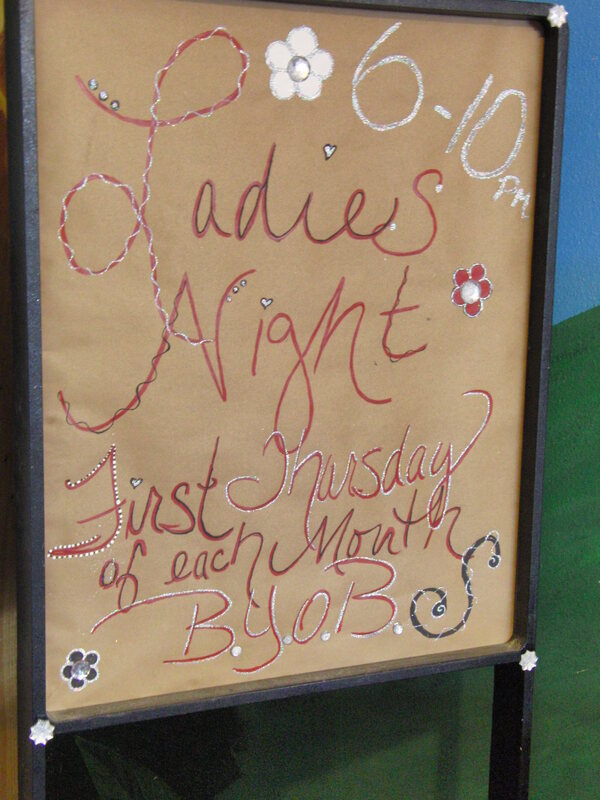 Creative Hands offers Ladies’ Night on the first Thursday of the month. It’s BYOB, (and snacks) you must be 16 or older to attend (but 21 to drink). A standard 2 hour birthday party includes one hour of painting and a second hour in the party room! You can provide your own food and drinks, or for a little more they will supply an art inspired “palette” cake. Don’t sweat your child’s imperfections when they are painting. Once glazed, it all looks so much better than you would expect. Remember, if you wanted something that looked like it came from a store, you could have bought it, so cherish each of their little mistakes, which make it unique to them! 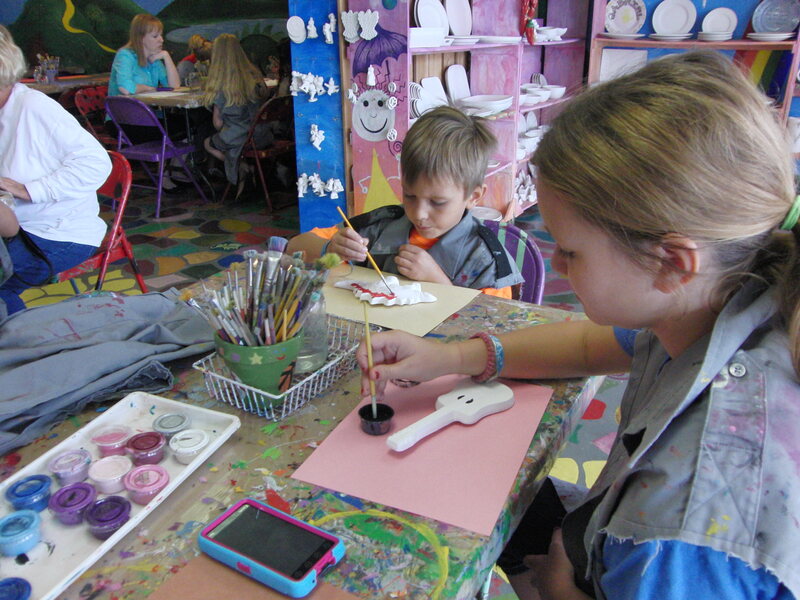 If the idea of taking a toddler into a shop filled with rows and rows of breakable objects scares you, then you can purchase a piece and take it home to paint (with your own paint), then bring it back to be glazed or fired at no additional charge. They understand, and there is a “You Break, You Buy” policy. 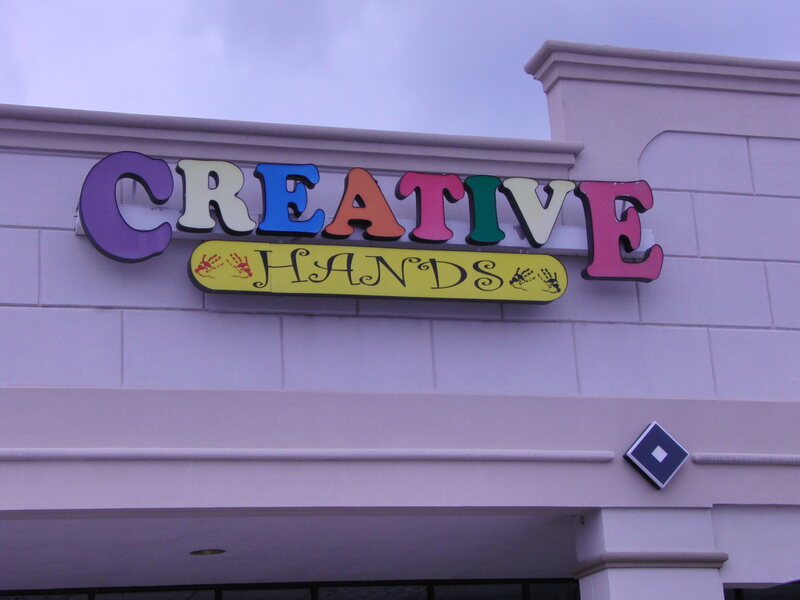 Creative Hands in located at 2225G W. Park Row, Arlington Tx. Click HERE to visit their website. Click HERE to visit their facebook page. Whew, there’s a lot to do in Arlington, for a complete list, click HERE. 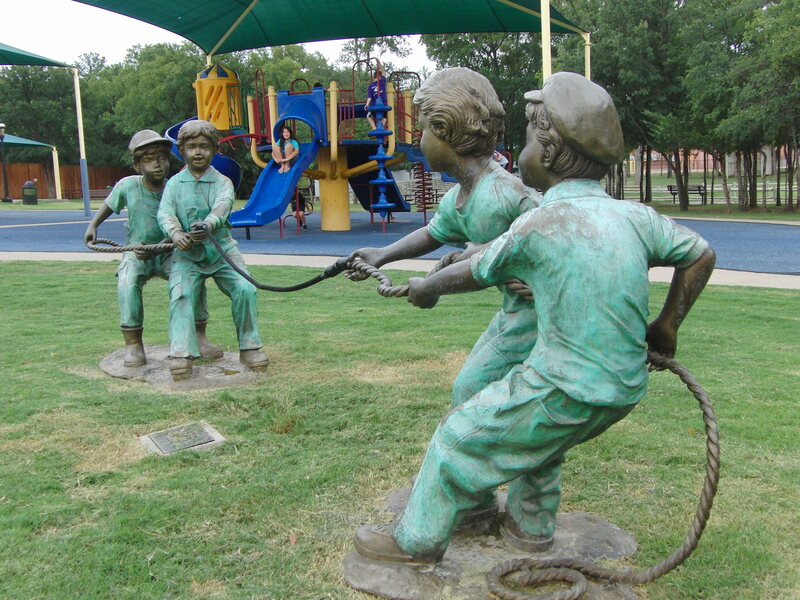 While our pieces were being glazed and drying, we visited nearby Pantego Bicentennial Park. There are plenty of picnic tables, two playground, outdoor exercise equipment, a sandbox and a walking trail. We even spotted a sweet mother duck and 7 newly hatched ducklings in the creek! Pantego also offers FREE movies in the park, click HERE to visit their website for dates. 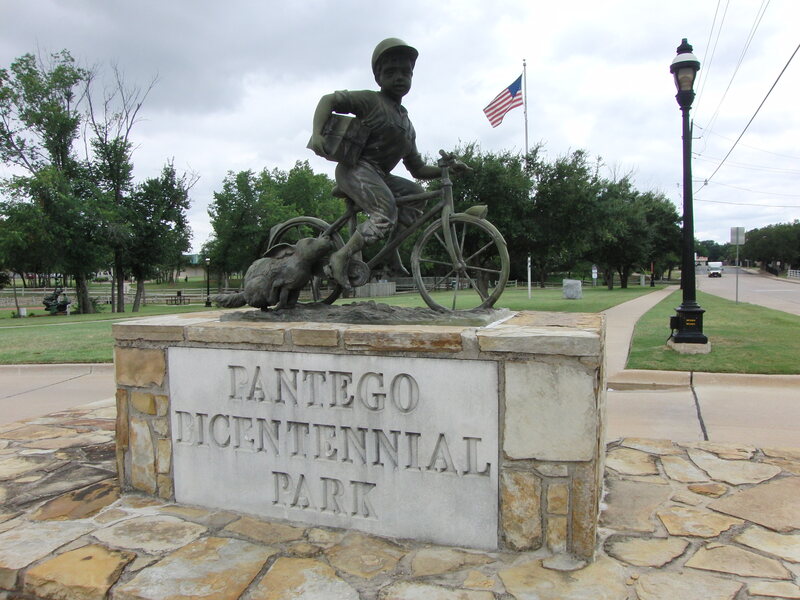 Pantego Bicentennial Park is located at 3206 Smith Barry Rd., Pantego, TX. © Having Fun in the Texas Sun , 2014. Unauthorized use and/or duplication of this material without express and written permission from this blog’s author and/or owner is strictly prohibited. Excerpts and links may be used, provided that full and clear credit is given to Having Fun in the Texas Sun with appropriate and specific direction to the original content. While all activities and attractions reviewed by Having Fun in the Texas Sun (HFitTS) are fun, they, as anything in life, hold some potential for accident or injury. HFitTS is only offering their opinion and experience, and should be held harmless in case of accident. HFitTS does not accept financial compensation for reviews, so that all opinions are honest and unbiased. Some destinations do extend invitations and offer complementary admittance, some know we are there for a review, and others have no idea until they get a link to the blog. While HFitTS does give the positive and negative opinions of places and activities we have enjoyed in a review, HFitTS will not post a derogatory review on a location. Life is too short to spend 4-5 hours reliving a bad experience, and we have had plenty of them. Posting would be completely contrary to our name. We just don’t write, talk or even think about those places. Ewww. HFitTS tries to give the most up to date information on hours, prices, etc. but readers should ALWAYS check with the location before going. There are no guarantees by HFitTS, either written or implied, of you having a good time at any of the locations we review. Some people just won’t have a good time anywhere. 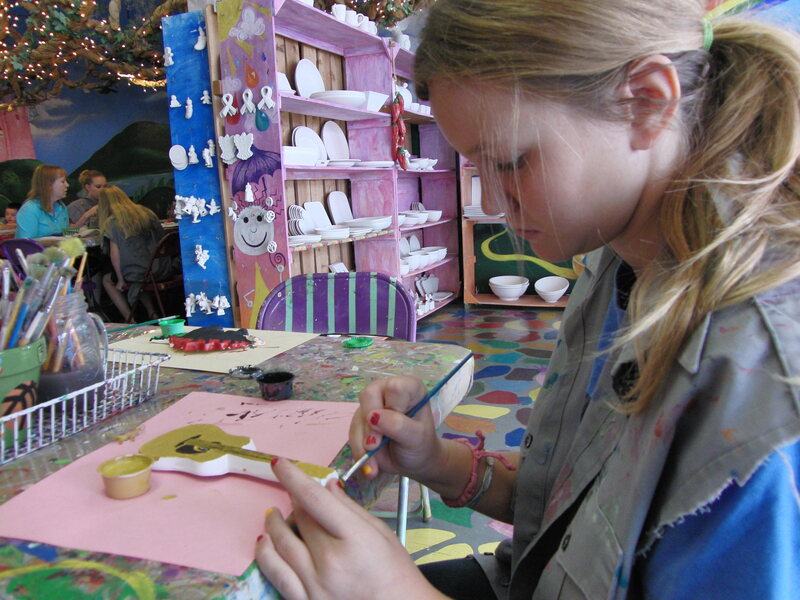 HFitTS does guarantee that we always strive to follow the Girl Scout Way, and LEAVE A PLACE BETTER THAN WE FOUND IT.